When I shoot landscape photography, the size of my bag is a concern because of weight and the fact that I hike with all my gear. I choose to use a bigger camera bag anyway because I need to have options. 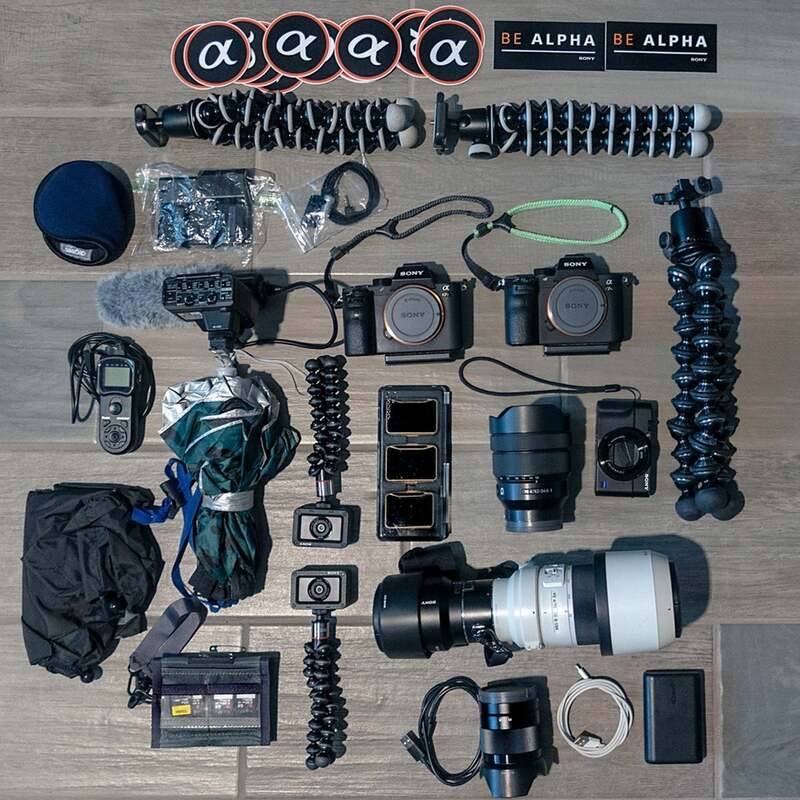 I use the Lowepro 450 backpack to store all my gear all that I bring: a Sony α7R III, α7R II, two RX0’s, the RX100 V, two zoom and two prime lenses and some other miscellaneous gear. One reason I shoot Sony is because the full frame mirrorless cameras and the lenses I use (all native mirrorless lenses) give me outstanding image quality and at the same time they’re very light. 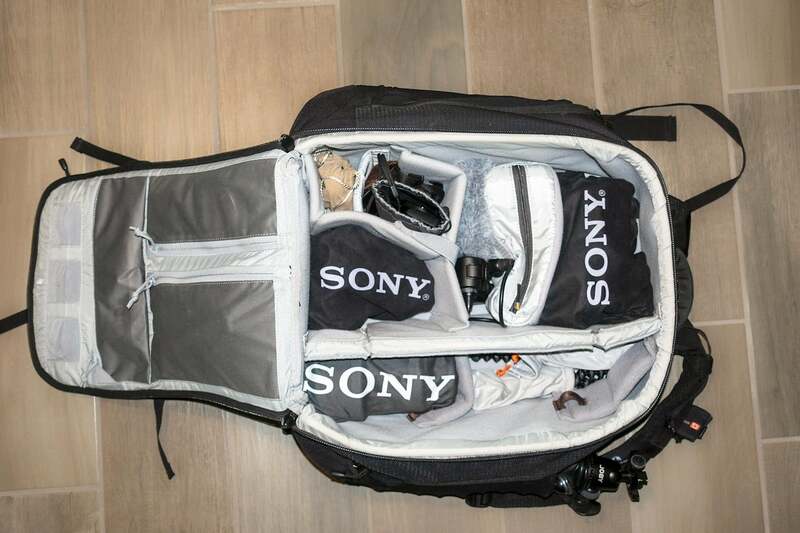 Here’s a closer look into my gear bag for chasing landscapes. One of the most important things I learned shooting landscapes is to keep everything covered, even when they’re inside the bag. One of the most important things I learned shooting landscapes is to keep everything covered, even when they’re inside the bag. I cover my cameras and lenses to keep the elements out. I shoot in a lot of varying conditions and never know how fast the things will change. The final straw was at a beach shoot. I had my bag open to get something and a little dog walked up near my bag and pawed sand into my bag after doing his deed. I wasn’t happy, but lesson learned. Sony α7R III: My go-to camera. I love the 3.69m-dot Tru-Finder OLED electronic viewfinder which helps me shoot in any lighting conditions. I do a lot of low-angle shooting and the LCD flips to accommodate that. The dual SD memory card slots are a must for me and with the NP-FZ100 battery I can get up to 530 shots per charge. As a landscape photographer who is frequently away from power for a full day, not having to worry about my battery is huge. Below is a photo I took with my α7R III on a shoot in Santa Barbara. I found this piano on the edge of the mountain overlooking Santa Barbara. 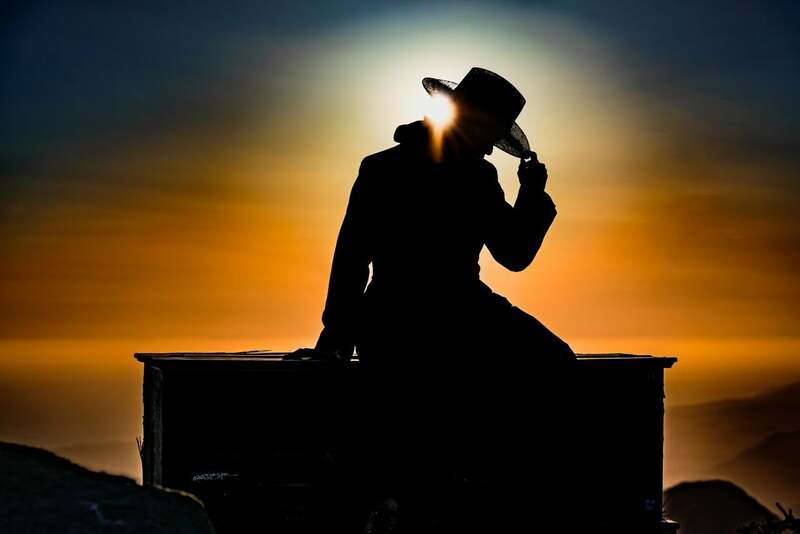 I bought the hat and jacket at a local thrift store with this shot in mind. The camera captured the beautiful sunset colors perfectly. Sony α7R II: I use the α7R II as my second camera and for video and for the apps I’ve downloaded from Sony. I love the UHD 4K video recording at 30 or 24 fps. As for the apps, I also use and enjoy the Smooth Reflection, Time Lapse, Multiple Exposure, Stop Motion, Motion Shot, Light Shaft, Bracket Pro, Live View Grading, Lens Compensation, Sky HDR, Star Trail, Light Shaft, Portrait Lighting and Smart Remote apps. I keep my α7R II ready for video at any time. RXO: I bring two RX0s for video. The RX0 is waterproof, crushproof and shockproof and I never have to worry about them. I keep them in my pocket for a quick grab if I see something I want to shoot while I’m on the move. I have one set on my favorite setting, HFR, for slow motion video, and the other RXO is set for normal video. I also like that I can set them both to shoot at the same time for different perspectives controlled by the PlayMemories App on my iPhone. 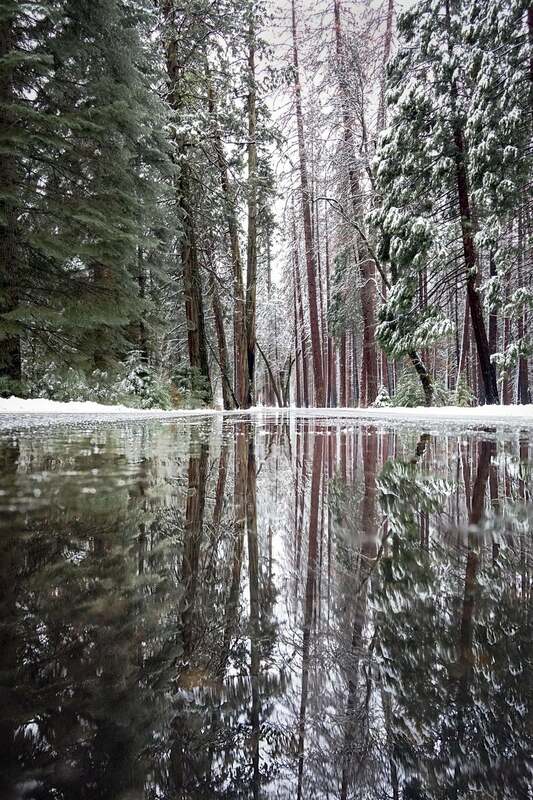 I shot this reflection with my RX0. I set it right in the puddle to get the lowest perspective possible. The reflection turned out perfectly and I couldn’t have done this shot without the RX0. I made this photo with an RX0 with the camera right in the puddle. I love the RX0 for allowing me to shoot like this. 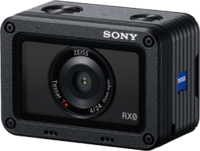 RX100 V: This camera is small and light. I like having the built-in flash when I need it. I carry my RX100 V in a pocket for quick, high-quality pics while hiking. Once I get to my location, I usually set the RX100 V up to do time lapse. 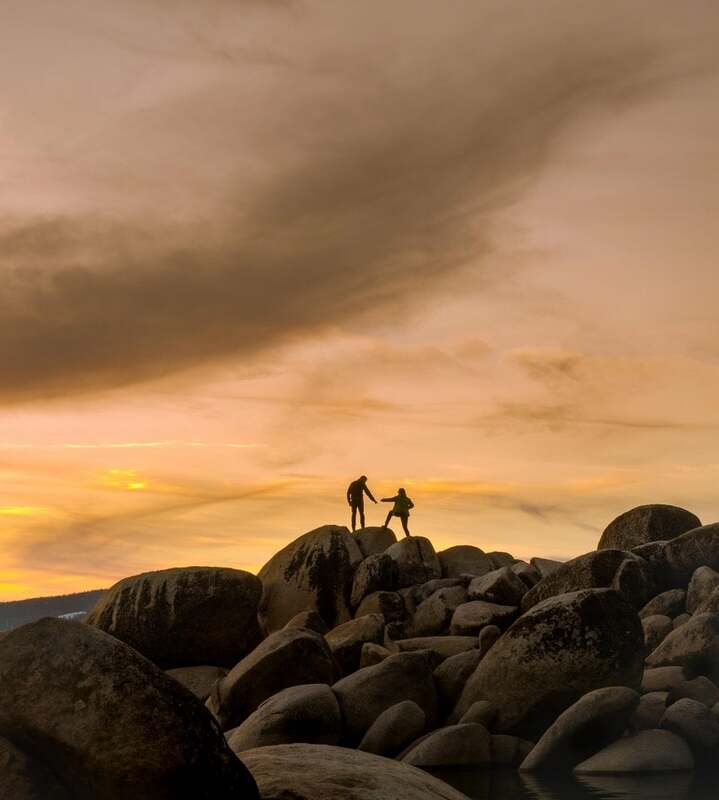 I took the photo below at Lake Tahoe with my RX100 V. I was ready to leave, and my main cameras were packed in my bag when I saw this couple on the rocks. Time was of the essence so I took my RX100 V from my pocket to get this quick shot. I love how he’s reaching out, a moment that would have been missed if I didn’t have the RX100 V ready. This photo shows why I always have my RX100 V with me. I saw this moment happening while I was hiking and I only had time to grab the RX100 V in my pocket. 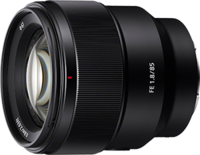 Sony 12-24mm f/4 G: This is my go-to lens. I love this lens’ wide-angle perspective. I’m able to utilize more of the foreground and still capture the sky. When I’m shooting in tight quarters, I can be up close and still get an expansive shot. 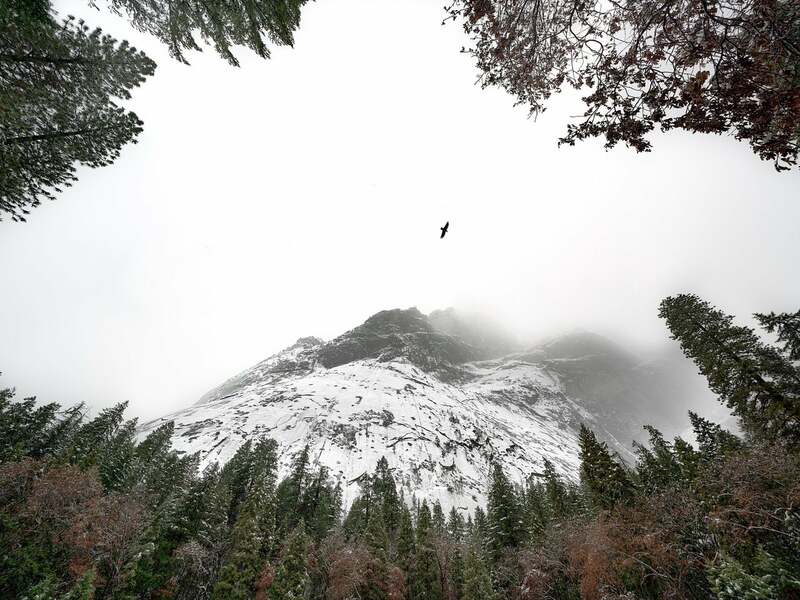 This is a shot I took with my Sony 12-24mm f/4 G lens when I saw a raven fly by just as I was taking a wide angle shot at the bottom of Half Dome in Yosemite. I love the framing and the look I was able to get with the wide angle. As I was framing up a photo with my Sony 12-24mm f/4 G at the base of Half Dome in Yosemite NP, I saw this raven flying into the scene. I love the wide-angle perspective with the bird right in it. Sony 70-200mm f/4 G OSS: This is a great lens to shoot at a distance, the focus is crystal clear. This f/4 lens is a great value and never lets me down. It’s easy to use and the focus is exceptional. I can shoot handheld on most shots. Sony 28mm f/2: This lens is my go-to for video. I can fit in tight places and still shoot great footage. The lens is small and very light – not to mention very reasonably priced. Sony 85mm f/1.8: This lens is my low light favorite. It is very small and light for an 85mm. 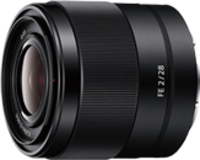 Sony has a variety of lenses that are light and have great quality. This is very important to me because I carry everything with me in the field. I need my gear to perform reliably, and the lighter the better. Sony ECM XM1 Mic with XLR Adaptor: I use this on the α7R II for recording audio with my video. Extra Sony SD Cards: I carry a few different kinds of Sony SD cards including the TOUGH SD. I’m never going to miss a shot or a video because I was out of memory. Joby Tripods: I use Gorilla Pods for all my cameras. The tripods are very functional, light to carry and can be used in all locations. Camera Cover: I use this for inclement weather so I can still shoot regardless of the conditions. Umbrella Hat: Yes! I have an umbrella hat. It’s the best in the snow and rain. I’m dry and my camera’s dry. I’ve never met someone soaked in the rain that didn’t wish they had one at the time. It’s a lifesaver. Polar Pro Filters for my RX0s: These are a must have to shoot in all lighting conditions. JJC Timer Remote: I use this to do long exposure and time lapse with the α7R III. I use apps in the other cameras to get the same effect. ECM CS10 Lapel Mike: I bring this if I need it depending on the conditions. Dual Lens Coupler: To wear around my neck for quick lens switches. Batteries: I keep extra batteries in a baggy, so I know they’re charged. The used batteries I put back into a pocket in the backpack. First Aid Kit: You never know. I’ve already fallen off one waterfall. Swiss Army Knife: Does it all. Karl Zoltan is a member of the Sony Alpha Imaging Collective. Follow all of their adventures on Instagram https://www.instagram.com/karlzoltan.